쿠스코 중심지에 위치한 Casa Andina Private Collection Cusco는 리마크팜파 광장(Limacpampa Square)을 굽어보고 있으며, 안뜰을 향하고 있는 전통적인 양식의 객실을 자랑합니다. 아르마스 광장 및 코리칸차에서 가까운 도보 거리에 있는 이 숙소에서는 무료 조식을 드실 수 있습니다. 공용 공간에 무료 Wi-Fi가 제공되며, 객실 내 Wi-Fi는 추가 요금으로 이용 가능합니다. Casa Andina Private Collection Cusco의 객실은 식민지 시대 풍의 안뜰을 둘러싸고 있으며, 목조 발코니를 갖추고 있습니다. 모든 객실 및 스위트에 케이블 TV가 마련되어 있습니다. Casa Andina의 고급 레스토랑인 Alma Restaurante & Bar에서 성스러운 계곡(Sacred Valley)의 신선한 식재료로 만들어진 안데스 특선 요리를 즐겨 보십시오. 식민지 시대 풍으로 꾸며진 호텔 바에서 저녁에 음료를 드셔도 좋습니다. 테라스도 이용하실 수 있습니다. 투숙객은 벽난로가 설치된 독서실 및 라운지에서 여유로운 시간을 보내실 수 있습니다. 호텔에서 공항까지는 차로 10분이 소요됩니다. We had been living in Cusco for 15 months so had time to select an hotel for our last night there. We chose well. The staff are all very friendly and professional. The suites and rooms are all located around patios. We loved the peace and quiet - Cusco can be a very noisy city! Breakfast was very good. The hotel is located on Limac Pampa Chico so it is very easy to walk to some of the local sites and also the centre. 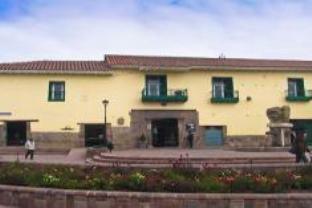 We ate at Papacho's on the Plaza de Armas but near to the hotel is Deva a very good local restaurant where you can enjoy typical Cusco/Peruvian dishes as well as Peruvian wines. I would love to stay at the hotel again one day! rooms open onto courtyards, breakfast was execellent. Overall a great place to base yourself to see Cusco.Most sights are within easy walking distance. The rooms are pretty standard size but they are located around several courtyards so it feels open. Staff on front desk were very helpful and well organised.They looked after our extra luggage when we went to Machu Picchu. Alot of options for buffet breakfast with eggs cooked to order, 10 min walk to plaza de armas. Room felt a little dated, not really a 4 star hotel. We stayed twice here-once before Machu Picchu and once after Machu Picchu. The first room we had felt a little small but it felt clean. The second room was much bigger but it did not feel as clean. The comforter had spots on it and the bathroom tile didn't look very clean. this hotel is very fine. we were ushered in to a lovely sitting area, for our very early in the morning arrival, offered that awful coca tea!, and made comfortable while they sorted out our reservation. also, a nice perk is that they have a rep at the airport who seamlessly arranged a ride from the airport to the hotel.the rooms are comfortable and clean, the dining room is excellent, food and service quite good, and the staff very helpful, especially two of the gals who spoke flawless english. 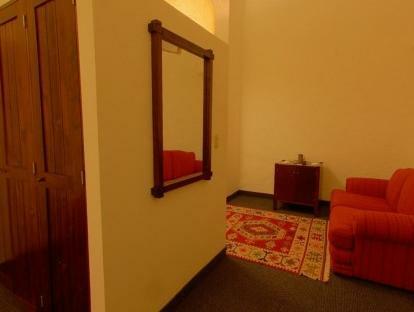 we were pleased with our choice and think that of the several casa andina's in cusco,we chose the best one! Compared to other hotels in Cusco, this must be one of the best.